American Routes shows that two heads, voices, guitars, banjos, or horns can be better than one. Guests include the venerable Piedmont blues pair Cephas and Wiggins, and New Orleans collaborators Henry Butler and Corey Harris. We'll also hear great singing and composing duos: Lester Flatt and Earl Scruggs, Louis Prima and Keely Smith, Lester Young and Oscar Peterson, and Lennon and McCartney. We'll hear the music of great singing, playing and composing duets. Our guests include the venerable Piedmont blues duo Cephas and Wiggins, and recent collaborators Henry Butler and Corey Harris. 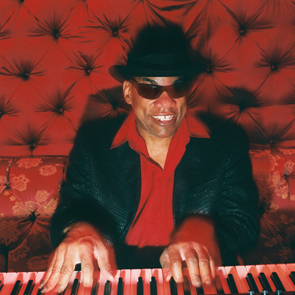 Versatile piano virtuoso and visionary, Henry Butler. Plus a rainbow of musical colors from Edith Piaf, Bobby 'Blue' Bland and The Neville Brothers.